All the knowledge that I have listened to, seems to vanish out of my being when my mother-in-law comes to visit. How can one forget and forgive someone who is constantly behaving in a harsh manner? Please give the advice to the mother-in-law. Listen, I want you to just take a look at how your mother behaves. How many times did you have arguments with your own mother, and how many times was she frustrated with you? Haven’t you gotten scolding from your own mother? I don’t think any girl or boy has grown up without being scolded by their mother. I have gotten many scoldings from my mother. She used to always think that I was not doing things as well as her and that she always knew better. Even about the running of the ashram, she would say, "No, you don’t run the ashram properly". My biggest critic was my own mother. So you have this experience. When your mom criticizes you, you just fight with her and then you forget it. It doesn’t really touch you. My dear remember your mother and mother-in-law are of the same age, the same kind and the same category. She scolds you only 10% of what your mother used to scold you, then why does it hurt you deeply? So just accept her. You can’t change her. If you forget your knowledge at other times, it is okay. But when your mother-in-law comes, that is exactly when all your knowledge is needed. Those days don’t forget to listen to knowledge talks. People who are tough to handle, whether at office or at home, only help you to develop your skills. You should really thank them. They make you more skilfull, more refined, more compassionate and all your good qualities can start manifesting. Instead your ugly face starts manifesting. See, this is the difference. If you have knowledge, in tough situations, wisdom manifests and good things manifest out of it. If you lack skills, the worst things come out of it. So this one thing we need to master. What? Master the skill of expressing and communication, and grab this as an opportunity to do that. 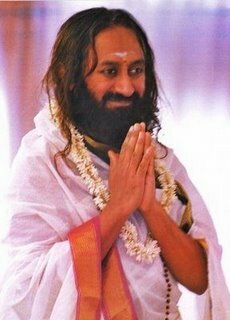 Gurudev, I once read your post that said we must not exit this world without knowing who we are and where we have come from. Please guide me and show me the path to know my purpose. This very desire of self enquiry and wanting to know who I am makes us human. This is very important. This question turns our mind into wonder and gives depth and width to our life. So first of all, feel happy that you even got this question. Then you need to have a little patience. That is very important. Do you know the proverb, "Well begun is half done"? It is more than half done, it is three fourths done. You once said in a course, "Don’t meditate for a reason", then why meditate? In the beginning, it is okay to meditate for some reason, but as you move on, you should drop it. It is like, you have to carry your luggage to get into the train or the plane. Once you get into the plane, you must put it into the luggage compartment and relax. That is why on this spiritual path, there are different instructions at different times. They may all seem contradictory but they are all right, and they have to be followed. Truth is spherical. It is complex and yet it is simple. And so instructions could be very confusing, but that is right. As an enlightened soul, you are able to focus your attention 100% without distractions or racing thoughts. Is there anything we can do to emulate that, at work or in school? Centredness, a little bit of dispassion, a little bit of spiritual practices and a little bit of confidence thats all it is going to be fine. That confidence doesn’t let the mind rattle. Even if it rattles here and there, it comes back quickly. 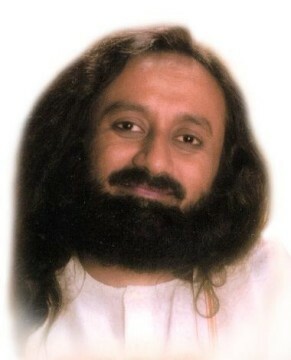 Gurudev, I understand grace and surrender completely, and I want to surrender but I am not able to. Please tell me how to. Listen, don’t worry about surrender and all. What is there to surrender? Why do you struggle with this word surrender? No need to surrender anything I tell you, hold on to everything. God loves you the way you are, and wherever you are, you are anyway with God. You cannot go away from God at all. So what is there for you to surrender? Everything anyway belongs to nature; belongs to God. Yes, when you feel your negativity and your worries are too much, and you can’t stand it anymore, then this idea was given -- that you should surrender it. Even surrender I tell you, is a drama. You simply have to wake up and realize that 'I don’t possess anything. Everything anyway belongs to the one divinity'. So don’t worry about it. You say, "I give up", when you are frustrated. If you can happily say, "I give up", then you don’t reach the point of frustration. You simply realize everything is anyway run by 'UP' and that’s it. Anyway, everything belongs to someone up there or someone deep inside you, that’s it. Main thing is to relax and repose in yourself. 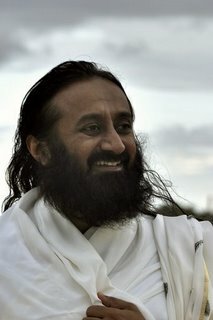 Dear Gurudev, so many kids these days are being diagnosed with autism. Why is this so? I would like some of the scientists here to do research on that. What is the cause of this autism? Is it the diet of a lady when she is pregnant, or is it all the GMO (Genetically Modified Organism) and MSG (Mono sodium glutamate) that we consume? Is it all the fertilizers and remnants of the fertilizers we consume that causes this? You don’t see this too much in poor countries where people have very little. When we have everything here, then why is this problem cropping up? We must look into this. Is it due to fast food? Is it due to microwave ovens? What is causing this? I would like some scientist to do some study on this. Don’t you think it will be a good idea? An independent study would help, not through a company which has its own vested interest. Where is our soul located in our body? Listen, you are the soul right? Is soul different from you? And you have a body. So why don’t you look at it and see where you are in your body? This question could be a very good homework for you. If you just sit and say 'Where am I in my body?' it will be very good.